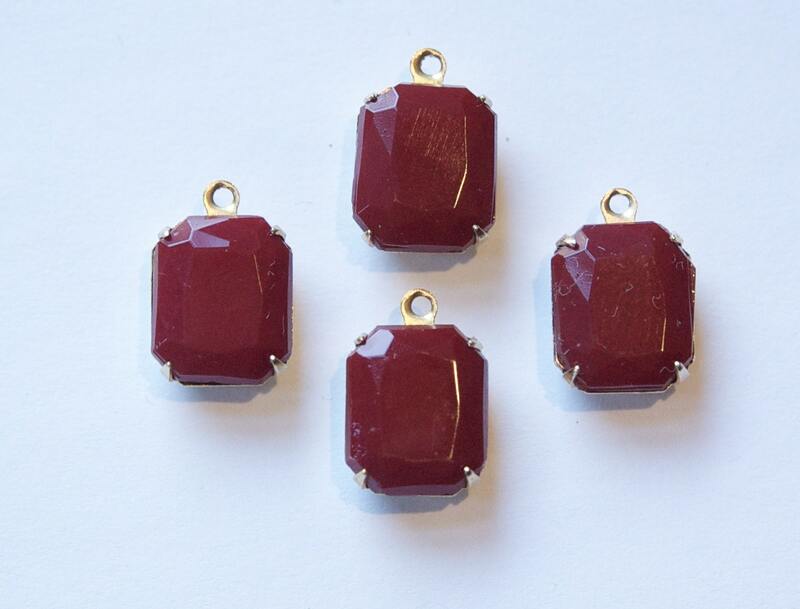 These are vintage deep burgundy red glass stones prong set in a one loop brass setting. The stones measure 12mm x 10mm. You will receive 4 pieces. These are a little deeper in color than the picture may show on your monitor. Love these! So very pretty - they are exactly what I was looking for - beautiful colors!